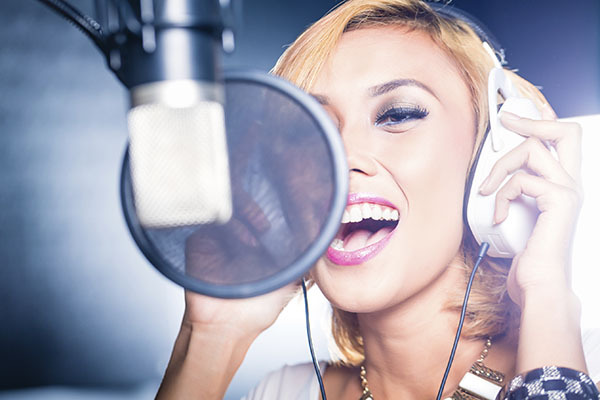 At Beverly Hills Voice, our staff includes experienced speech and language pathologists (SLPs) with specific expertise in vocal rehabilitation who work with our patients to provide the optimum care and recovery experience in our voice therapy techniques. In voice therapy, we help you become aware of voice habits and circumstances that may have contributed to your condition, while helping you learn strategies so that your condition won’t be as troublesome. Some of these strategies include improving you breathing, reducing muscle tension, minimizing stress, optimizing vocal cord configuration, and enhancing stress. We use voice therapy techniques as both the primary treatment in some cases, or as a medical / surgical enhancement. Our licensed outpatient voice therapists are also Singing Voice Specialists, with years of training and personal experience when it comes to taking care of the professional voice. Rest assured you and your voice will be in good hands. Dr. Barbu’s team approach to taking care of the voice allows for frequent communication and mutual involvement between you, as the patient, your therapist, and your surgeon. All persons in the process are equally valuable to the successful recovery and health of your voice. This type of therapy helps patients learn to swallow more safely and effectively. Our therapists actively employ exercises that help strengthen swallowing muscles, improve coordination, and optimize airway protection. As in voice therapy, swallowing therapy can be used as both a primary treatment and as an enhancement therapy. Dr. Barbu is actively involved with the inpatient Speech and Language Pathologists at Cedars-Sinai Medical Center where she participates in bedside FEES (Fiberoptic Endoscopic Evaluation of Swallow) procedures that allow for both diagnostic and/or therapeutic interventions in patients with dysphagia in a timely fashion. This test is especially useful in debilitated or intensive care patients who may not be able to swallow barium in the radiology suite for videofluoroscopy. Again, Dr. Barbu’s philosophy of teamwork shines through in her availability for patient care in both the inpatient and outpatient setting.